If you have been made to believe that there is a secret recipe or an encrypted code to convert your social media fans and followers to your customers, you probably would keep fishing for that mysterious codes and recipes and find nothing at the end of the barrel. Assuming you are eligible to make a big boast of having far too many fans on your social media pages like Facebook and Twitter, you are on this page because in all likelihood, you are struggling to make those fans buy your offerings. Stop posting irrelevant stuff even if it powers you to gain more likes. There is a trend on social media. Brands, all and sundry, keep posting updates that they deem will fetch them most shares, retweets, Likes, etc. this way, they also manage to make a name for themselves in social media, even if not many people know them off the virtual grid. So far, so good. After all, it is helping them to grow their brand and propagate it across different channels – which tells us one thing that they should continue with this strategy and post updates on similar lines. But what fails to get them sales is the fact posting similar kind of updates is the only activity you can find on their pages. When you followers feel your page is a great place for cool posts, but are hardly made to recall your brand, you need change of guard. It is all about mixing the content. In a week, for example, for four days you can post some funny or eye catchy stuff that may or may not bear any resemblance to your business. But the rest of the three days have to be dedicated to your brand. That doesn’t necessarily mean that you beset your followers with discounts and promotions for your products. You can also post news that’s relevant to your industry or your organization. One highly recommended approach you can take is that you can ask questions on your page that you deem fit to draw responses. The questions should be pitched in a manner that steer conversations back to your brand. Now, that’s easier said than done, so you need people who can leak some creative juice on your page and make it interesting and relevant. Every once in a while, there will be some comments by certain enthusiastic followers enquiring about either your product, or around the industry you serve. Listen to them. All said and done, to get your social media page deliver results for you, you have to facilitate better conversation – either around your brand, or between your brand and your prospective customer. Maria Mincey is a web development professional who works for the WordPrax - PSD to WP Theme services provider. Maria also happens to be a blogger with a strong passion for all things Wordpress. 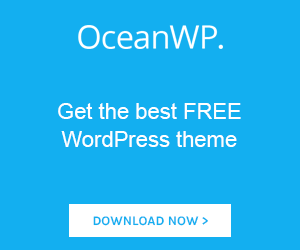 Previous PostHow to Improve Usability of Your WordPress Blog?